During his keynote address at Apple's annual Worldwide Developer Conference (WWDC) Monday, CEO Steve Jobs debuted the company's new iPhone 3G, an update to the popular mobile phone and computing device set for delivery July 11. Developers also took the stage during the keynote to show off new technologies arriving for the platform. The ability to save mail images and transfer them to a photo library. It also includes support for the new MobileMe Internet service (a replacement for the .Mac online service), which provides push support for applications like IM and e-mail. MobileMe is expected to run $99 per year when it launches, and a free trial will be available. It includes 20 GB of storage. A "family pack" runs $149 and includes 20 GB storage for the primary account and 5 GB storage each for up to four family members. "Think of MobileMe as 'Exchange for the rest of us,'" Jobs said in a statement released today. "Now users who are not part of an enterprise that runs Exchange can get the same push email, push calendars and push contacts that the big guys get." Apple said that in addition to launching the iPhone 3G in 22 countries July 11, the iPhone 3G will be available in "more than 70 countries later this year." In the United States, AT&T will continue to be the iPhone's carrier. 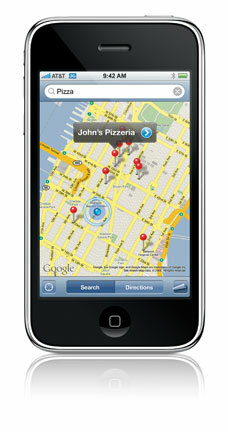 For users of the first-generation iPhone, the iPhone 2.0 software will be available as a free update via iTunes July 11. As far as development for the iPhone platform goes, Apple Monday announced that downloads of its iPhone Software Development Kit have topped the 250,000 mark since the SDK's launch in early March. The SDK includes APIs and tools for creating iPhone-native applications. During the keynote address at WWDC, several developers took the stage to show off new and upcoming applications designed for the iPhone, ranging from adventure and arcade-style games to medical imaging software. Macworld has an excellent blow by blow roundup of the keynote address, including images of new applications for the iPhone. This coverage can be found here.